Have you ever taken your pet to see the veterinarian for a routine (or not so routine) visit and really didn't know what to expect, what to ask - or where to start? You're not alone! It can be a little overwhelming when taking your pooch or cat in, especially if you're a new pet owner or you think that your pet might be ill. When calling to schedule, be sure tell the staff the nature of your visit. If it's for a checkup and vaccinations, tell them. If you're bringing in your pet because you've noticed something might be wrong, be specific. Typically more time will be scheduled in those cases. Also, if your pet has a cough, do not hesitate to say so before bringing your pet in. If you are seeing the vet for the first time, request that your previous vet send your pets' records over before your visit, or bring them with you. If there are physical or behavioral changes, and you're unsure if they may or may not be an issue, make a point to jot some notes down before your visit and bring them with you to discuss. Even better, keep a journal of things that you notice - include dates, times of day, frequency, etc. Sometimes it can be difficult to remember everything, and a journal will help. Talk about any changes like eating habits (less or more food, vomiting), water consumption (again, less or more), behavioral changes (think about anything out of the ordinary... tendency to hide, acting withdrawn, hyperactivity, lethargy, appearing confused, bumping into things, etc.). Know what kind of food your pet is eating - brand, type, quantity. Regularly check the integrity of your pets' stool. Yes, really. After a bowel movement, have a look at the consistency. Is it firm, loose, milky, signs of blood, grainy, tarry/dark? This should be done on a regular basis; a lot can be surmised from what is present. Conveying this to your vet can be extremely helpful in diagnosing problems. If your vet asks for a stool sample from your pet, ask how much they need, collect a fresh specimen, and bring it to the appointment in a sealed bag. Likewise, if your dog is having a urinary issue, don’t let him relieve himself when you get out of the car, because the vet will want to get a sample. Weight changes can tell a lot about health. Talk about any ups or downs that you notice. Weight loss/gain, even without an increase or reduction in food consumption, can signal something that needs attention. Bring a list of medications that your pet is taking. This includes supplements - even glucosamine or fish oil. Bring the bottles in with you. Another aspect that makes getting resolution to problems difficult in the doctor's experience: non-compliance. 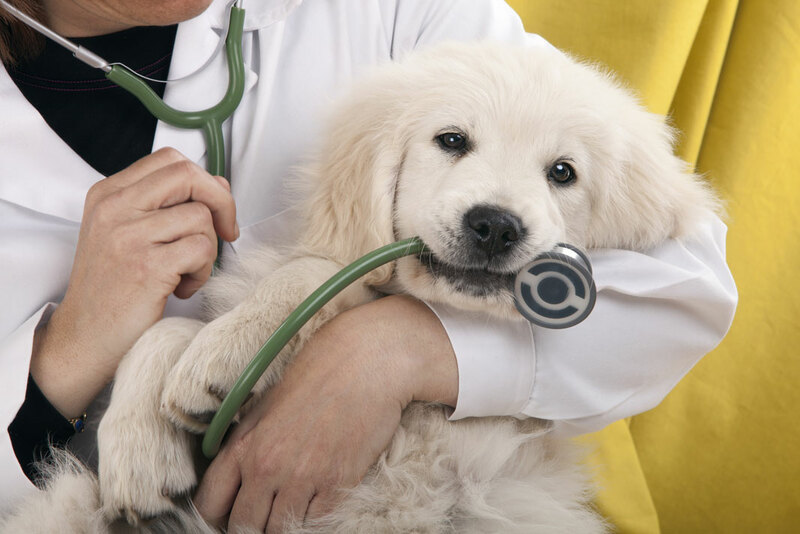 When your pets' doctor recommends a solution to a health problem, it's important to follow that advice, treatment plan and prescription directions. She noted that things can seem overwhelming, or you can be uneasy about administering medication, like at-home injections for diabetes. If you don't understand, or don't feel comfortable - do not hesitate to speak up. There might be a more palatable way to deal with an issue or room for adjustment in giving medicine or even tips on how to deal with a fussy, uncooperative pet. Whatever the reason, follow the vets' advice to get the best outcome. Equally important, speak up if there are other factors affecting the way that your pet can be cared for - especially if the reason is financial. In this economy, when a crisis arises with your pet, you might find it hard to pay for the care that they need. Voice your concerns. Your vet may be able to put together a treatment plan that is less expensive, and/or better understand where you are coming from. Communication is key. YOU know your pet better than anyone. Although it might feel as though you're all thumbs when it comes to addressing your pets' welfare, you are the first line of defense in arming your vet with the information that they need to make decisions in putting together a treatment plan that is effective. "Be confident in your knowledge about your pet; trust yourself." Sage advice, I'd say.